Alumnae, community members, faculty, and staff attended the Little Black Dress Party: Popping for Popodicon May 9 at the historic house on Shepherd’s campus. More than 50 alumnae, community members, faculty, and staff attended the Little Black Dress Party: Popping for Popodicon on Wednesday, May 9, at Popodicon, sponsored by Women for Shepherd University and the Shepherd University Foundation sponsored the event. 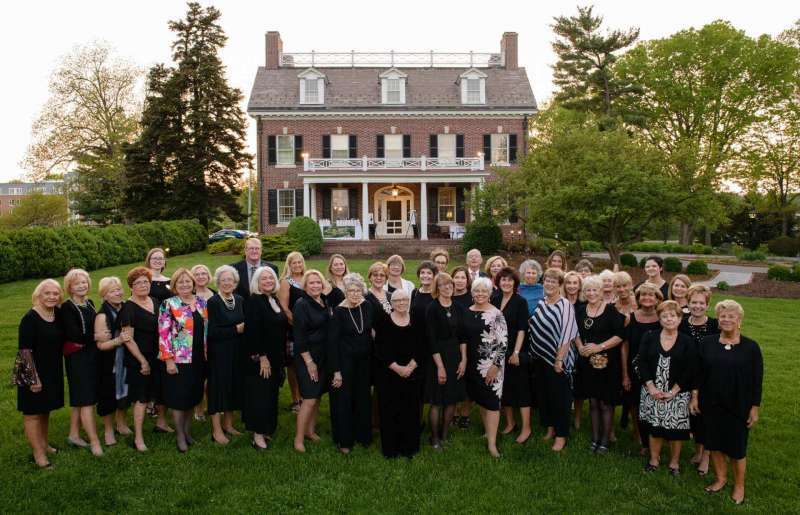 The Little Black Dress Party, which was the 11th event for Women for Shepherd, raised more than $2,000 to support Friends of Popodicon, a group dedicated to the restoration and beautification of the historic house. Through the group’s efforts, Popodicon has seen significant upgrades over the past two years to its interior spaces and outdoor gardens. A complete renovation of the kitchen, powder room, and laundry room is now underway, with funding provided by donors and in-kind gifts for the project. Women for Shepherd planning committee members Sherri Janelle, Meg Peterson, and Sue Mentzer-Blair ’72 were instrumental in organizing the event, which featured a wine pull raffle. Along with several individually gifted wine bottles, corporate sponsors Martin Distributing Company, Reid’s Distributor, and Ye Olde Spirit Shop made the raffle possible through donations. For more information on Popodicon, please visit www.shepherd.edu/popodicon. To learn more about Women for Shepherd University or to help plan future events, contact Meg Peterson, Shepherd University Foundation, 304-876-5021 or mpeterso@shepherd.edu, or visit shepherduniversityfoundation.org.